A month or so ago I finished the first book of three, which I have pledged to read and review as part of the Australian Women Writers Challenge 2012. It has taken me awhile to get around to the review part but the detail of The Children by Charlotte Wood is still lingering my mind, which might give you some indication to how powerful this story is. Set in a rural NSW town, the story starts calm and quiet, essentially capturing the pace of this small town. Interestingly as the drama builds in this book, that calm element manages to underline the story, a tactic that I admired. The Children is about a family who come together, physically, when Geoff, the father, falls off the roof of his house and ends up in the critical care unit with severe head injuries. Mandy, Stephen and Cathy, the children, come home to support their mother, Margaret. Mandy returns from her highly intense career as a foreign correspondent, which has led her to live in war torn countries and tragic situations – a career that has rattled her soul and has disconnected her from an ordinary life, including her relationship with her family and husband, Chris. Cathy, the most normal and sympathetic child I would say, in the sense that she does not have some twisted or disturbed view on life (except perhaps having to deal with siblings who are dramatic and removed from the family, or even themselves). The youngest, Stephen, who has detached himself from everyone, with little reason as far as we know, returns home after many years. As the novel progresses, clues behind each individual’s past is unveiled and provides some insight into the dysfunctional characteristics (or perhaps, just ordinary) of the family. One thought that occurred to me while reading this was the family seemed so broken but yet I found myself relating to what a character was thinking or saying, and led me to think about whether ordinary actually exists. As details of the past weave into the present, I can actually feel the tension build with each turn of the page. My initial reactions to this book was the great attention to detail – careful description of ordinary moments come alive, intense moods of the characters are felt in my own depths. This is a very stellar start to the Australian Women Writers Challenge. By all accounts and reviews I have read about Charlotte Wood she is an Australian author to watch and I can certainly see why. I look forward to reading (and re-reading) Wood’s work in the future. Of course we all love to have a sunny weekend so that we’re allowed to hit the trails, have a picnic or go the beach. Sometimes though the rain is a welcome interruption to our busy lives. Though many people will go to work on Monday and say “How dreadful was the weather this weekend” I cannot fully agree. I love glorious weather and being outside but as of late life has just been too hectic and I can’t help but feel a little sense of relief as the rain hits window. One of the reasons why I welcome the grey skies this weekend is for the reading. Certainly there is a calming effect when you are allowed the opportunity to curl up on the sofa, bed or your favourite chair with a book you haven’t been getting to lately because other tasks have been calling. Books are magical no matter what but unfortunately when our lives don’t seem to let up and is like the school yard bully poking at you, books fall to the wayside. When I woke up this morning at 9am while the darkness of the room suggested it was 4 or 5am, I knew it was a day for reading. This made me think of some of my favourite rainy day reads so here are a few suggestions for the next grey weekend (or trip to the beach). 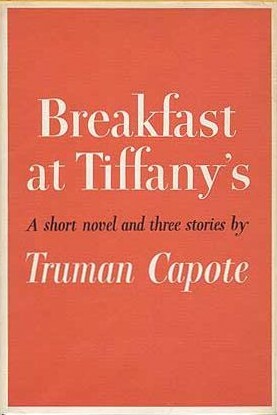 Breakfast at Tiffany’s by Truman Capote: To be fair I just read this story this morning when I woke up so of course the details and characters are fresh in my mind. I found this classic at a second hand book stall at Glebe Markets ages ago knowing that one day I would get around to it – this is my usual method for buying books. There are countless classics out there that I have not gotten to yet, this being one of them. So what a perfect opportunity to finally pick it up. A short read but packed with some great characters including the protagonist Holly Golightly, a former Hollywood starlet who lives in a New York City brownstone building. One of her neighbours and eventually friend “Fred” first encounters Holly when she buzzes his apartment to let her into the building since she never has a key. From this moment “Fred” voices the story of Holly and life of a socialite. It’s humorous, heartbreaking and can easily be read it in a sitting. 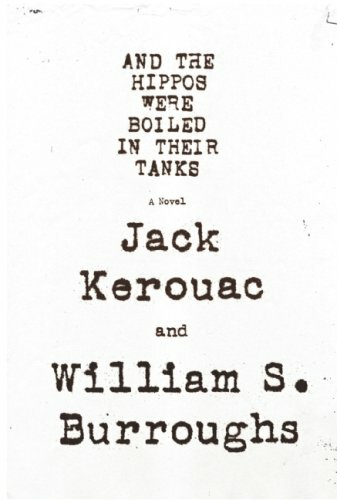 And The Hippos Were Boiled In Their Tanks by Jack Kerouac and William S. Burroughs: Written by Kerouac and Burroughs before either became famous, this book remained unpublished for many years. I became really interested in Kerouac and the whole Beat Generation after reading The Dharma Bums so was really delighted to come upon this lesser known title. Burroughs and Kerouac wrote this fictionalized account of a true story in which one of their friends stabbed another. He admitted the crime to them but when neither went to the police after the confession, they were arrested as accessories after the fact. Each chapter alternates between two characters, William Lee (Burroughs) and Mike Ryko (Kerouac), who describe one summer of drinking, drugs and generally drifting in wartime New York City steering toward a crime. 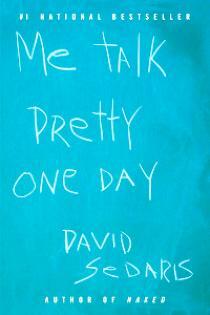 Me Talk Pretty One Dayby David Sedaris: Or anything by Sedaris will be do. I dare you to pick this one up and not laugh out loud. Not just chuckle but the kind of laughter where you cannot move onto the next sentence because you’re too busy re-reading the last line and trying to get your fits of giggles under control. Sedaris is a master of human observation and he describes this humorously in an autobiographical style and self deprecating manner. The subject matter often revolves around family life, particularly upbringing in middle class Raleigh, North Carolina though his essays are a mix of remembering childhood, the present and everything in between. Once you’ve finished this I also recommend When You Are Engulfed in Flames (where he attempts to quit smoking by going to Tokyo) and Holidays on Ice a collection of short stories with a holiday theme – but certainly not your traditional, heart warming Christmas tales. So next time you’re faced with a rainy day, do not despair. Pull a neglected book off your book shelf and enjoy catching up with an old friend.